It was a beautiful day, a little hot, but still a very nice day for a high school senior session. I saved the sport shots for last so my senior would not be all sweaty for the fashion photos. The location for the sport action shots was the furthest away from the car or shelter. Then it started to rain. As I shot a few more frames, it rained harder; the next thing I knew the bottom fell out and it was raining sideways. 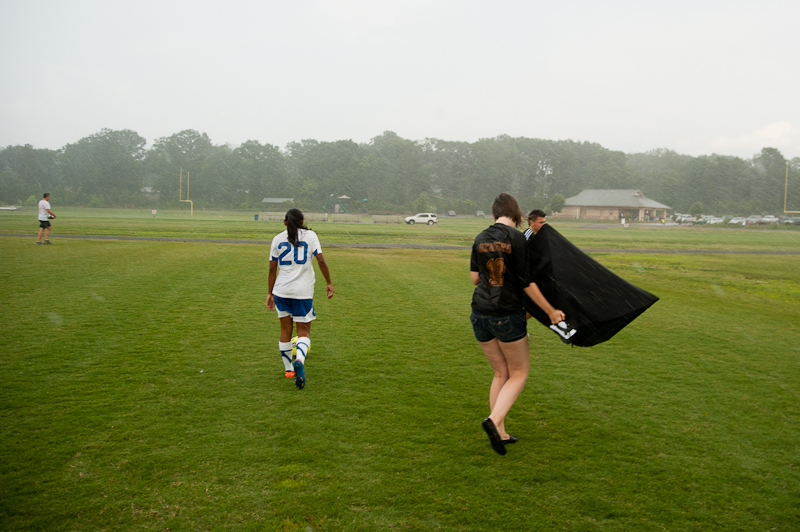 Everyone involved was soaked, and I found out that a soft box can double as an umbrella for a short period of time. It was a fun day, rain and all!